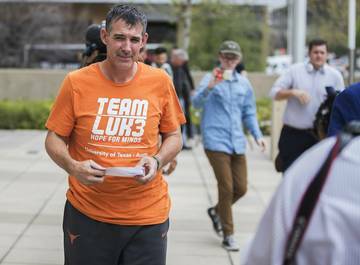 Once again, Texas found itself in a nail-biter. It’s becoming the norm. 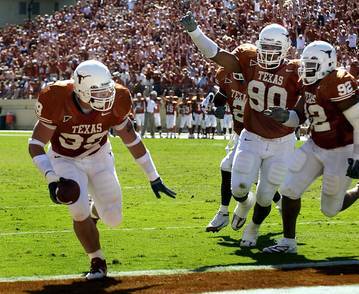 This time, the Longhorns ran the offensive plays to perfection Saturday against Oklahoma. Matt Coleman III expertly found Jase Febres in the corner for a wide-open 3-pointer to give the Horns a four-point lead. Nobody got rattled. 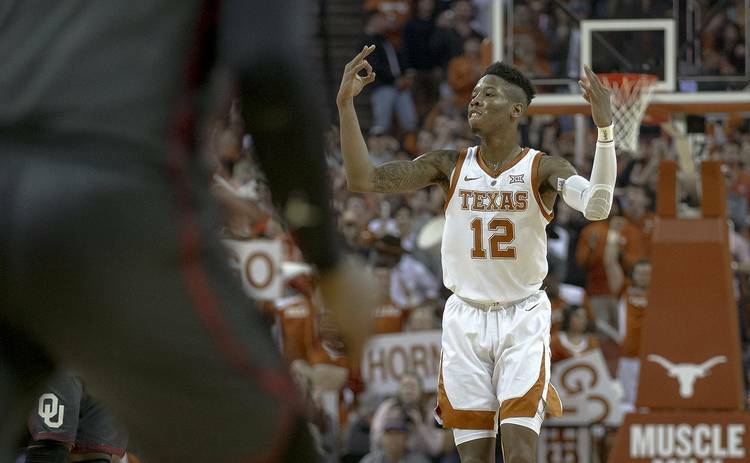 Kerwin Roach II didn’t succumb to OU’s defensive pressure and smartly called timeout. Coleman and Jaxson Hayes both hit two free throws in the final 20 seconds. And the final defensive plays were hold-your-breath fashion. OU missed two 3-point shots in the closing seconds as Texas escaped with a 75-72 win at the Erwin Center and snapped its three-game losing skid. 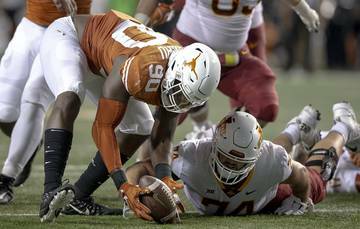 The Longhorns (10-4) moved to 3-3 in Big 12 play on a day where all the top teams lost. No. 20 Oklahoma (13-4) fell to 2-4 in league play. The Sooners are now 0-4 in Austin against Texas coach Shaka Smart. Texas was led by its two seniors. Roach lit up the Sooners for a game-high 23 points and Dylan Osetkowski added 15 more. Jaxson Hayes had 15 points by going 7-for-8 from the free throw line. Coleman finished with 15, too, as it was a balanced scoring night all the way around. Roach had to feel some pressure to rebound after Monday’s final play against Kansas. The senior came out with full guns blazing, kickstarting himself with an eight-point spurt in the first half that included back-to-back 3-pointers and a jumper in the lane. It was the type of basketball he showed against North Carolina on Thanksgiving. Texas did just about everything it could to muster up some positive vibes. 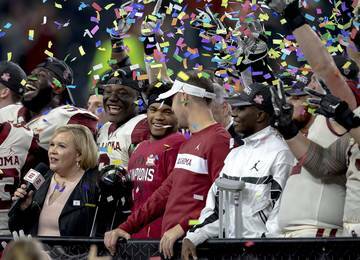 The football team was on hand with the Sugar Bowl trophy. They were honored at halftime. And for the first time, the self-proclaimed “Minister of Culture,” Matthew McConaughey, was on hand in an rather snazzy burnt-orange suit. McConaughey sat on the bench, definitely a first, and looked in on team huddles. Quarterback Sam Ehlinger even appeared on the arena video board in a pre-taped message holding the Golden Hat trophy. 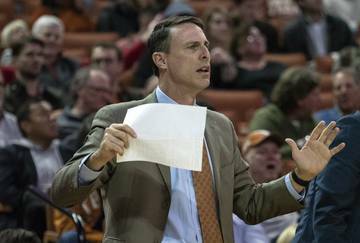 “C’mon, Longhorns fans, we need you. Get on your feet. 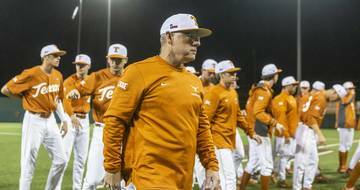 Let’s go,” Ehlinger said. Granted, this is nitpicking, but Hayes would be better off if he stopped blocking shots out to Interstate 35. Just a simple block to a teammate would suffice. In the closing stages of the fourth quarter, Hayes rejected Rashard Odomes jumper inside. But the ball went straight to Bieniemy on the wing, who promptly drilled a 3-pointer giving the Sooners a 65-64 lead with 3:47 left. 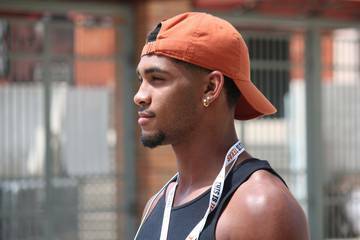 It’s clear the Longhorns were trying to penetrate in the first half against the Sooners. But they also settled for probably too many 3-point shots. Dylan Osetkowski, Hayes and others got good looks inside. But Texas still finished 3-for-12 from downtown in the first half. Texas shot 39.3 percent overall in the first 20 minutes. Fortunately, the Sooners weren’t doing any better. They shot 33.3 percent and were 2-for-7 from long range before the break. Who knows what’ll happen next in the Big 12 race. Texas Tech has now lost two straight, and West Virginia, a team that hadn’t won a league game yet, knocked off Kansas on Saturday. The race is wide open for whoever wants to grab it. 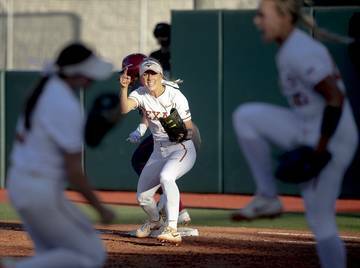 Texas will spend next week on the road, traveling to TCU on Wednesday and then to Athens on Saturday for a non-conference clash with Georgia. 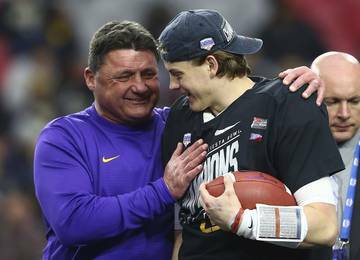 No, it’s not a Sugar Bowl rematch. The matchup is part of the Big 12/SEC Challenge.